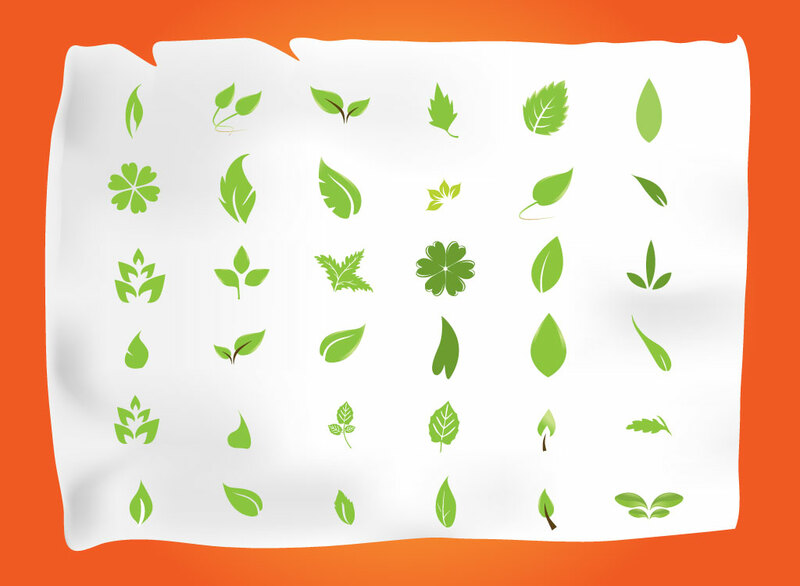 Vector set of green leaves with 36 tree and foliage vector leaves set on an orange background image with white paper image and drop shadow. These highly useful nature elements are ideally suited to logo emblems, application icons and scatter brushes. Free download for your environmental stock graphic collection. Download Illustrator leaf vectors set to add unique birch, maple, elm, walnut, cherry, chestnut and other tree leaves to your park and forest designs. Tags: Botanical, Floral, Foliage, Fresh, Leaves Vector, Natural, Parks, Spring.